11/26-30 – Highlights of the Week! A busy week to end November! 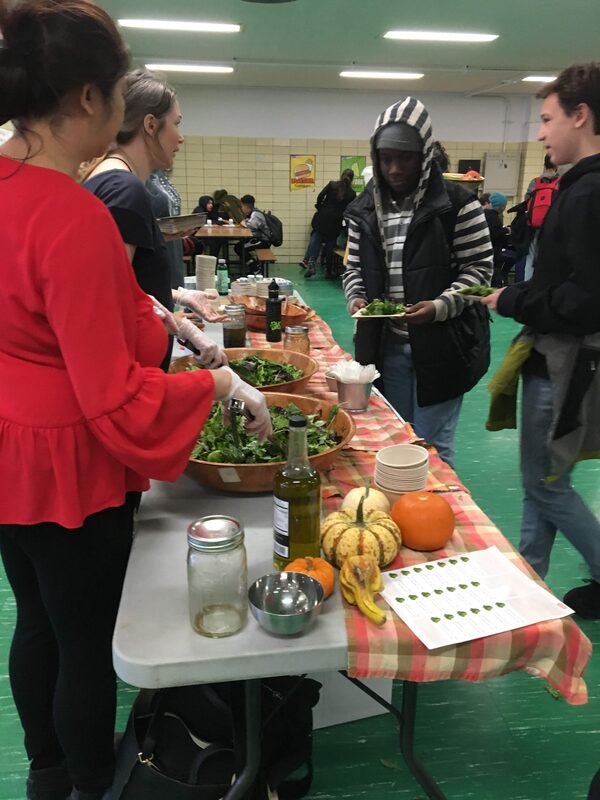 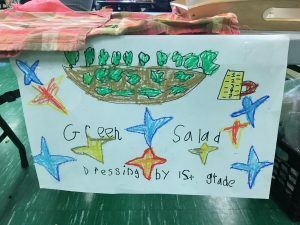 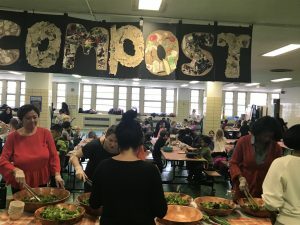 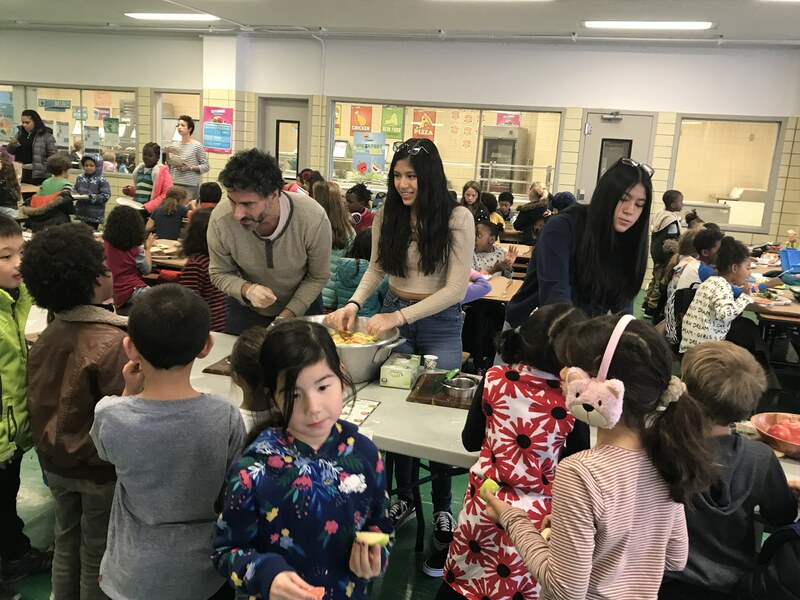 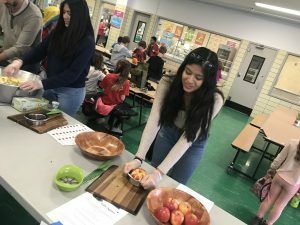 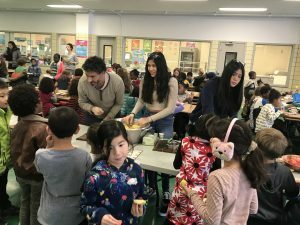 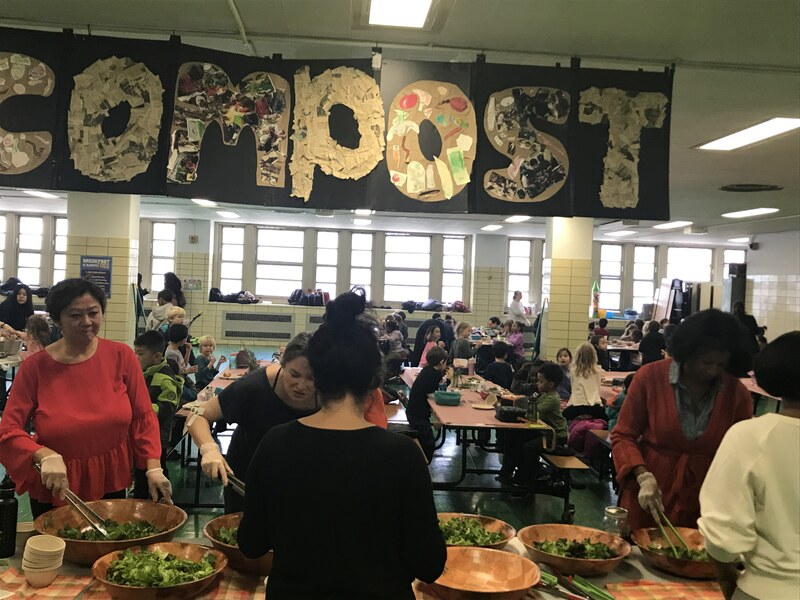 11/27 - We celebrated our annual Farm to Table event with Brooklyn New School. 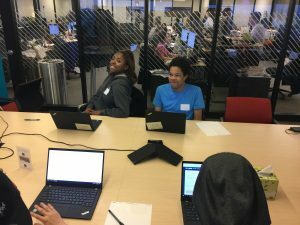 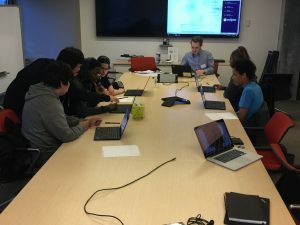 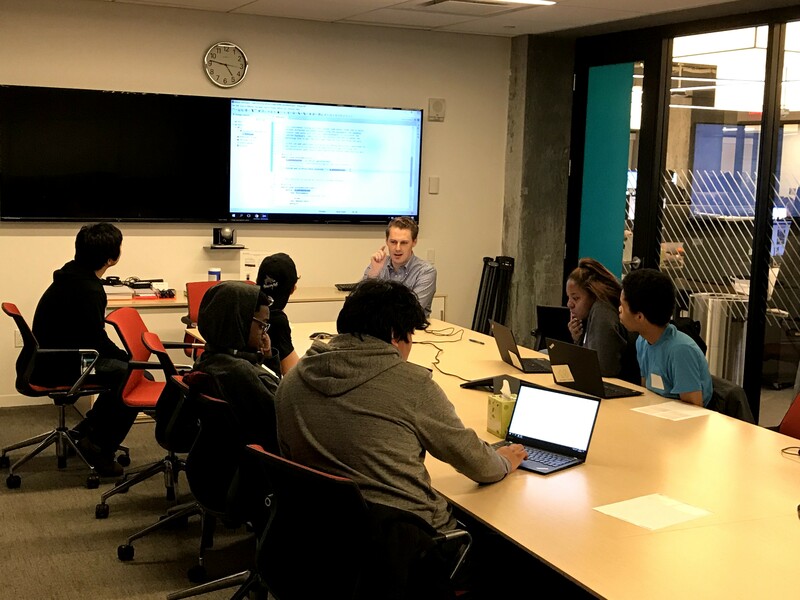 11/27 - The RoboSharks programming team learned Java programming at Two Sigma’s offices. 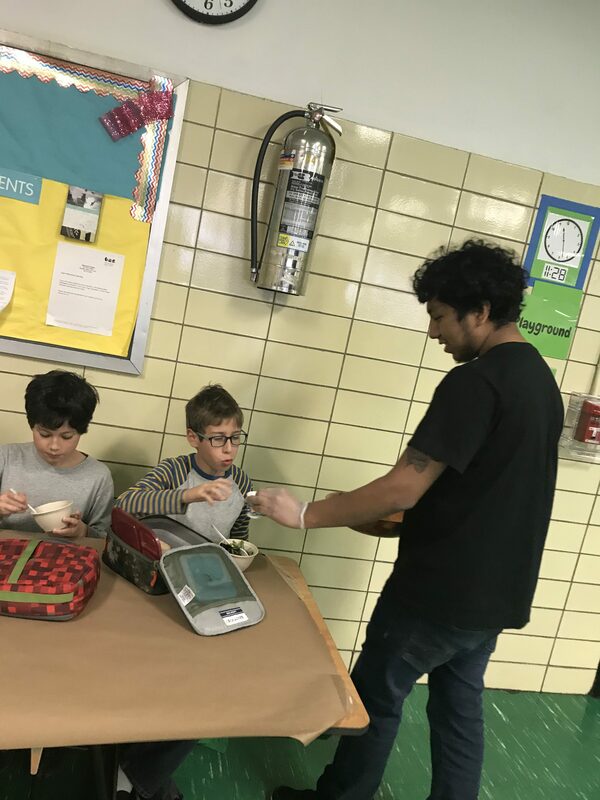 Two Sigma sponsors and funds our BCS RoboSharks team every year. 11/27 - Quavon Crawford (BCS Class of 2012) has developed his own clothing line and shared his experiences with entrepreneurship with Beth's 11th grade crew. 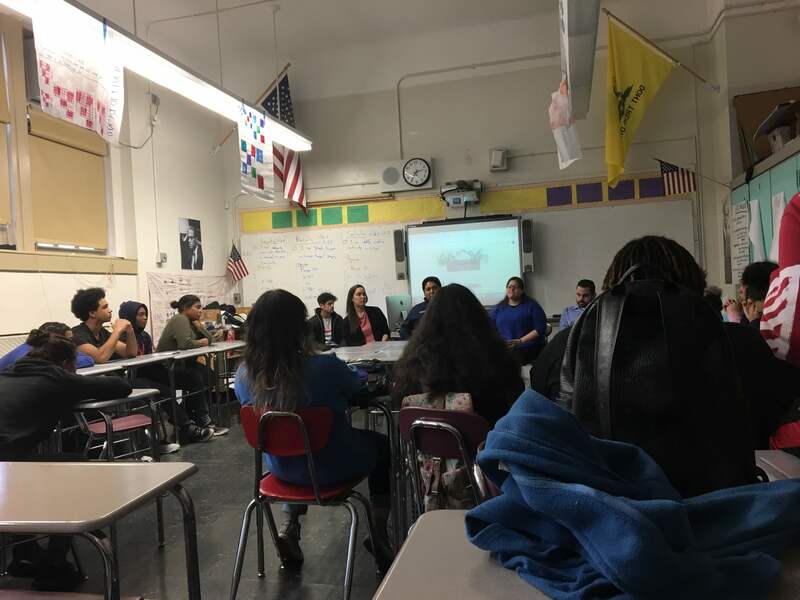 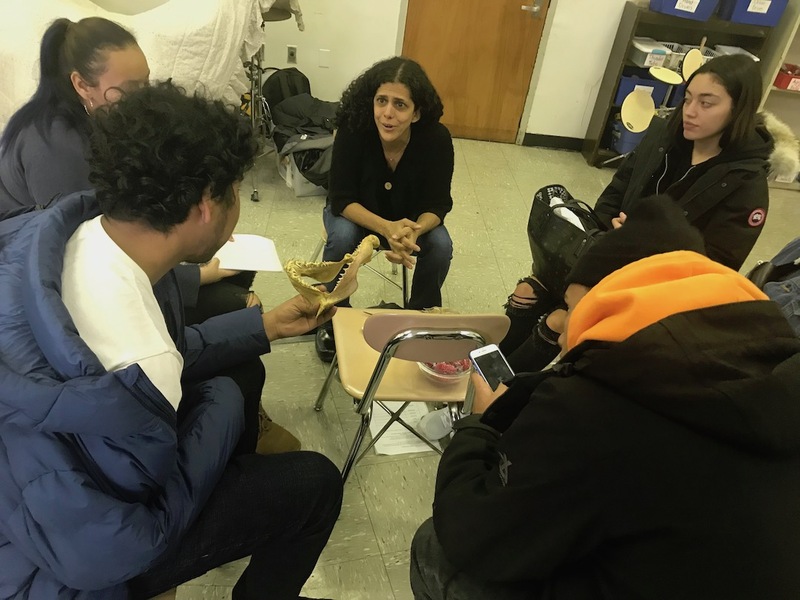 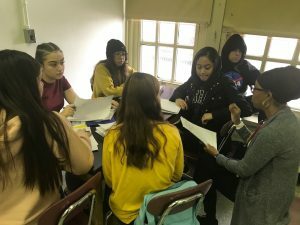 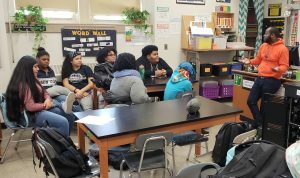 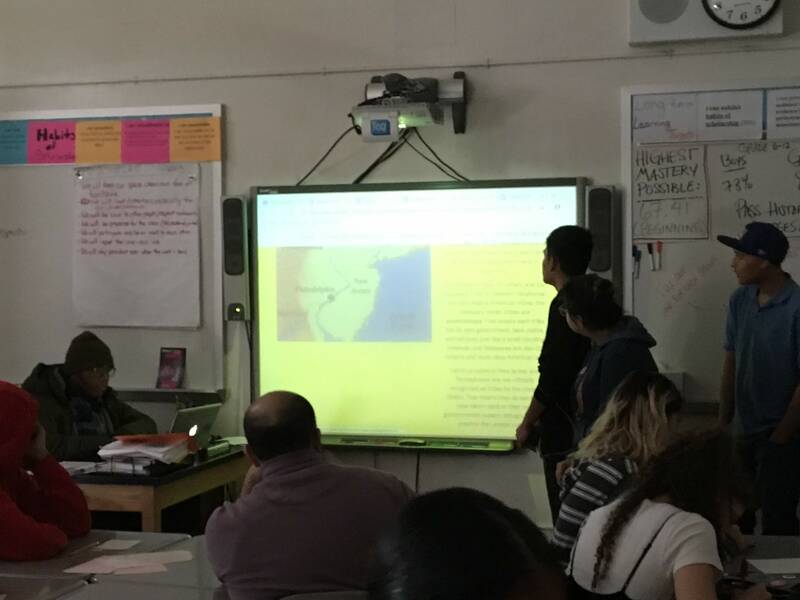 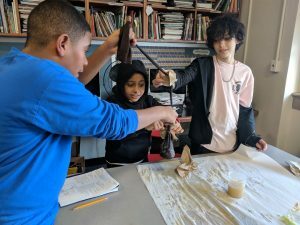 11/27 - Seniors in Government class welcomed scientists affiliated with the NYC Department of Health & Mental Hygiene, Bureau of Environmental Science & Engineering to talk about water quality in schools and water fountains. This was in partnership with Generation Citizen which all seniors participate in. 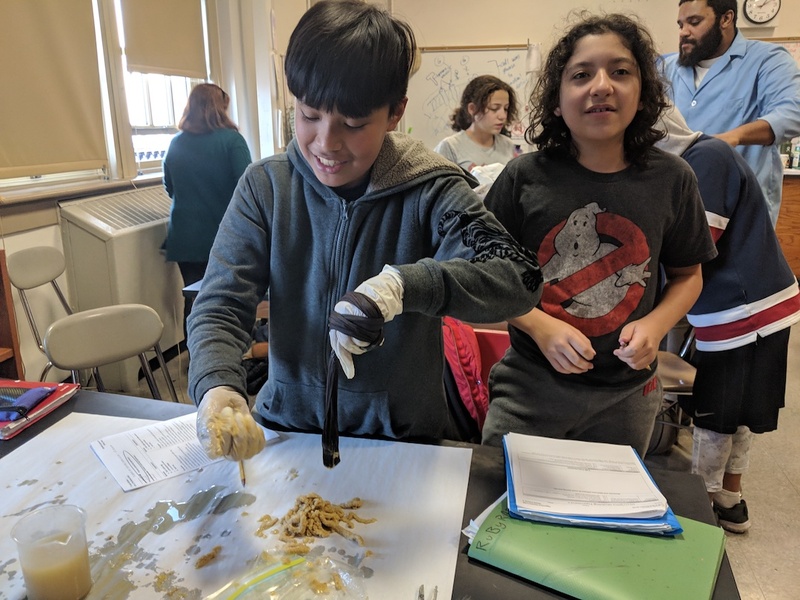 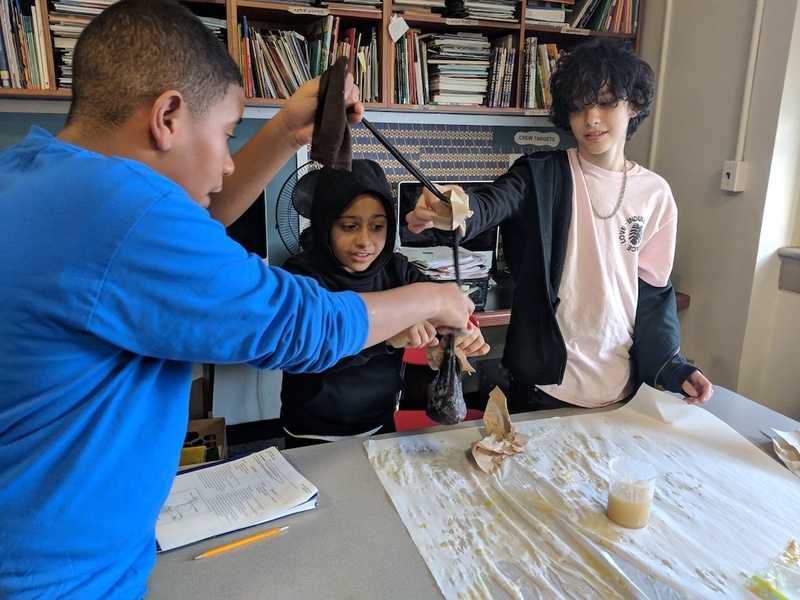 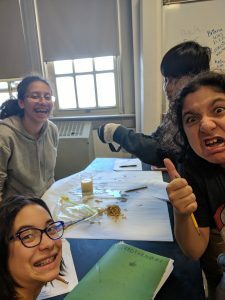 11/29 - 7th grade participated in a digestive system lab! 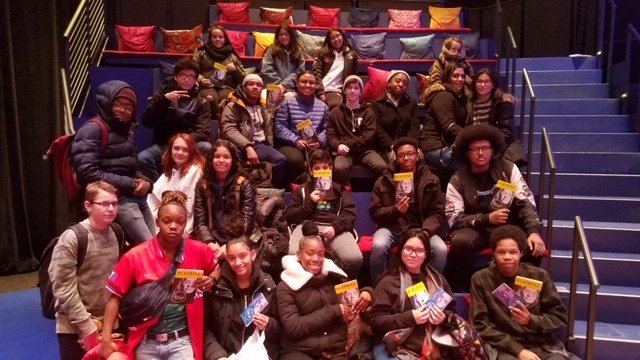 11/30 - Select students were honored to attend a performance of Gloria Steinem: A Life at The Darryl Roth Theatre in Union Square. 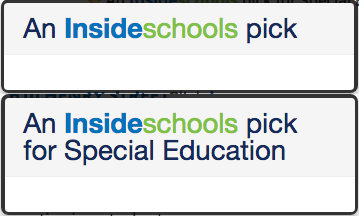 BCS friend, author Carol Weston, generously provided the tickets! 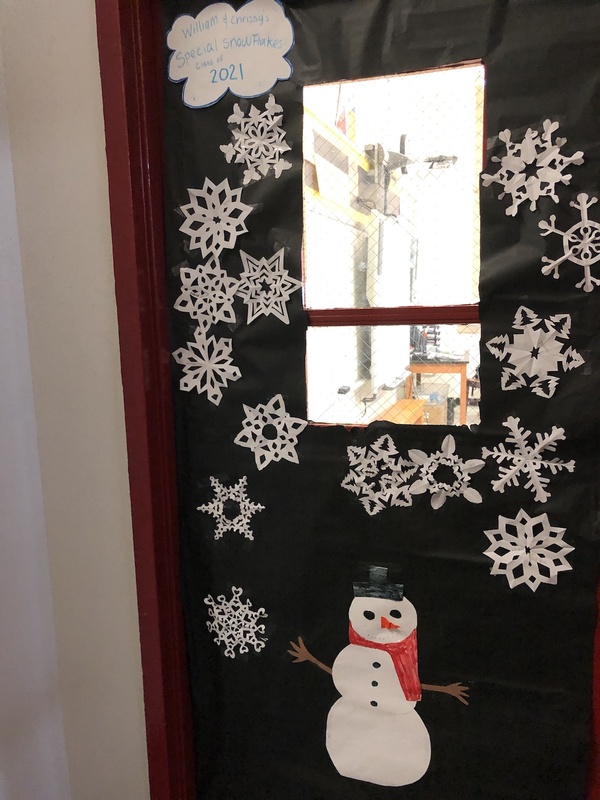 11/30 - We had a half day for Student Led Conferences and crews engaged in various competitions, including a snowflake cutting challenge and a scavenger hunt in the building. 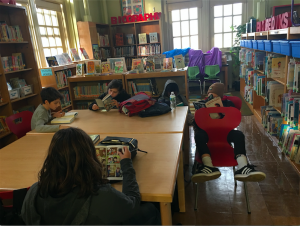 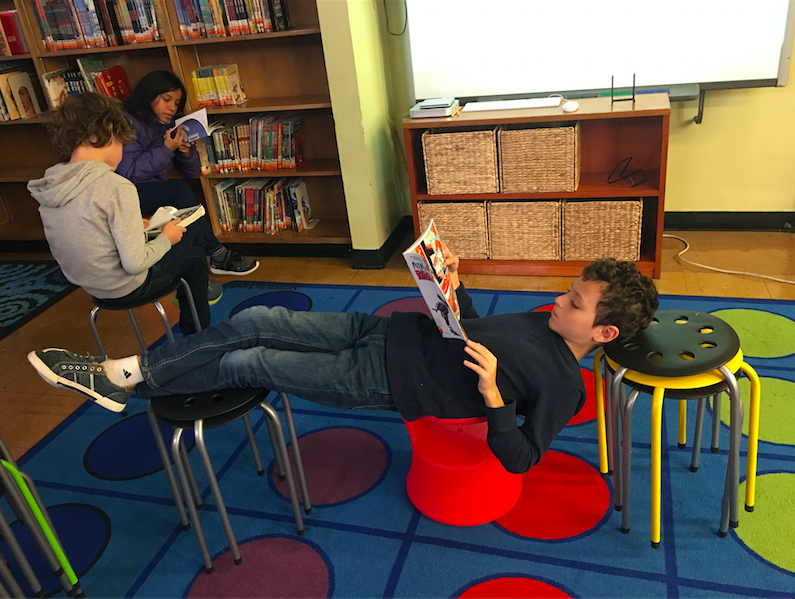 Happiness is reading a graphic novel in the library! 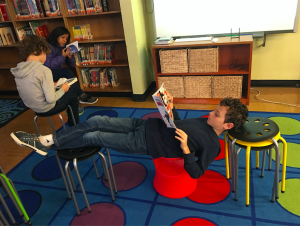 Previous post ← 11/19-21 – Highlights of the Week!